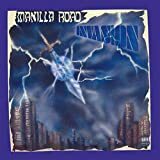 Manilla Road is an American heavy metal band from Wichita, Kansas, forming around its master of lead guitar Mark 'the Shark' Shelton (vocals and guitar). A set of three stories of violence and heroism in song - one from the fantasy stories of Robert E. Howard, one from Roman legend, one from history. This album has Manilla Road integrating the lessons learned on Spiral Castle; although not as overtly psychedelic as that album, the release does use extended song structures to add a sprinkling of doomy prog to proceedings. For some pieces, this works exceptionally well - my favourite is probably The Fall of Iliam - whereas other pieces plod. (Epitaph to the King could happily be half as long as it presently is.) Nonetheless, it's another solid effort from Manilla Road. 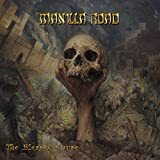 Rather than keeping going with business as usual for this second album of the Manilla Road return, Mark the Shark and his collaborators instead turn in one of the most unusual Manilla Road albums to date, with their traditional heavy metal style taking on a darker aesthetic and production reminiscent of more extreme metal styles and Mark offering up extensive guitar solos, touching on 1970s psychedelic and progressive stylings. It isn't a full dive into heavy psych or prog metal, but it's at least more of a nod in that direction than Manilla Road have attempted at any time since their Mark of the Beast/Dreams of Eschaton demo, so it rather makes sense that the official release of that material happened in the same year as this came out. 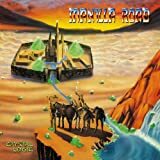 Even then, though, Spiral Castle sounds different from anything Manilla Road had done before, whilst still feeling distinctly like Manilla Road - a clever trick that demonstrates that their post-2001 resurrection was more than a simple nostalgia act. 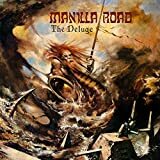 Manilla Road sat out most of the 1990s, with Mark the Shark attempting to put the project to bed after 1990's The Courts of Chaos and then, after the record company insisted on releasing his solo Circus Maximus album as a Manilla Road release, forcing the issue by taking a nearly decade-long hiatus from music. In retrospect, this hiatus feels like it was a decidedly wise move - the musical scene in the 1990s had moved on from the more fantasy-friendly days of 1980s metal, especially in the US, and taking this time off both allowed Mark to ride out this hostile period and also recharge his creative batteries. Atlantis Rising is a return to the style of Manilla Road before influences of thrash metal and other extreme metal styles began creeping in, which is appropriate enough since it's a bit of a sequel to that release. Thematically, it's a mashup of a bunch of different mythologies beloved by classic metal bands - the storyline has Atlantis returning to the surface of the sea at the behest of great Cthulhu himself, in order to do battle with the Norse gods! 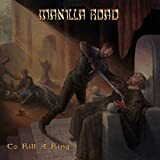 In the hands of a less capable band, this would be absurd nonsense - but Manilla Road have the D&D metal chops to make it a gloriously over-the-top epic and enormous fun. A true return to form. 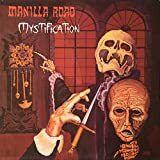 The preceding Manilla Road album might have been called Mystification, but by my reckoning Out of the Abyss is perhaps the most mysterious album from this heavy metal powerhouse's original run. With allusions to the Cthulhu Mythos and the Jack the Ripper case, it's certainly got some classic themes going here, and musically speaking it interestingly mixes traditional heavy metal and thrash elements. It's an album worth listening to carefully to really unpack its secrets, but I think it is well worth it once you do; out of all their releases between Crystal Logic and The Courts of Chaos, I'd say it's the one which took the longest to win me over. 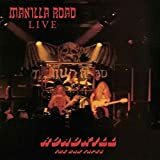 Don't be fooled by the packaging - this isn't the heavy metal Manilla Road of their classic era, or even the revived Manilla Road of Atlantis Rising onwards. 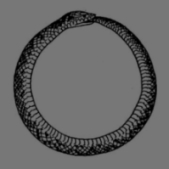 Instead, Mark of the Beast is a release of the long-lost second Manilla Road album, which had already circulated in a bootleg form as The Dreams of Eschaton. 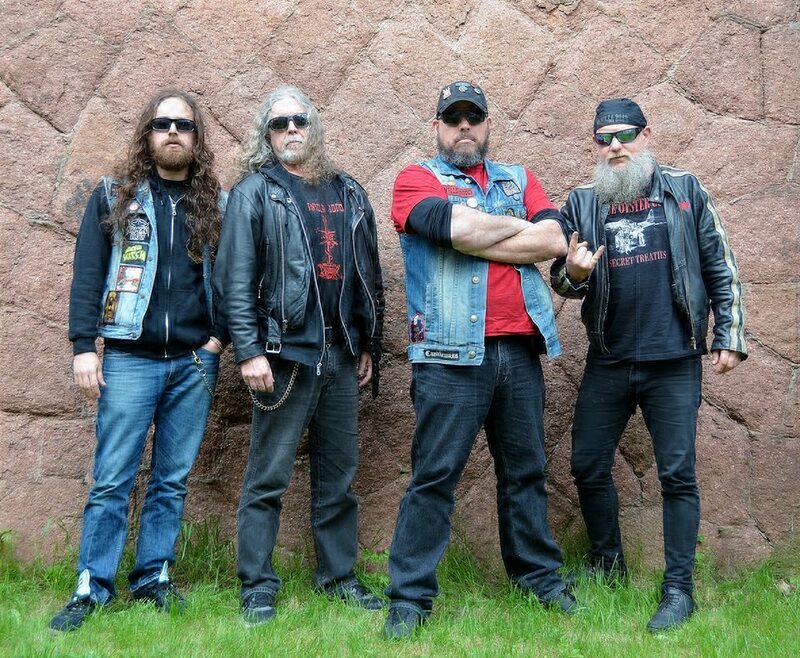 Here, the band seem to be dabbling in a dreamy sort of "diet prog" style, a bit like KISS were aiming for on Music From the Elder but with more of a clue as to how to scratch that Dungeons & Dragons itch. It's an interesting historical curio, but I can't put hand on heart and say it's worthy of the term "lost classic". For one thing, the recording quality clearly isn't what it could be, and for another the compositions are a little weak, meandering around repetitively just a bit too long. 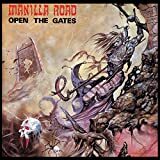 Manilla Road would scrap this approach and retool for the Metal album, which gets rather overshadowed by their material from Crystal Logic onwards, and whilst Metal itself might not have bowled many people over I think the decision to change direction was justified. On pure musical quality, three stars. Add a star if you are a big Manilla Road fan and want to hear this curious little path-not-taken. No MANILLA ROAD movie reviews posted yet. 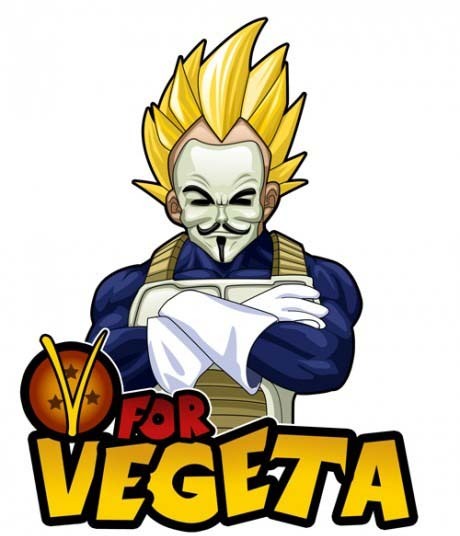 Amazing stuff these guys create, one of the best!!! 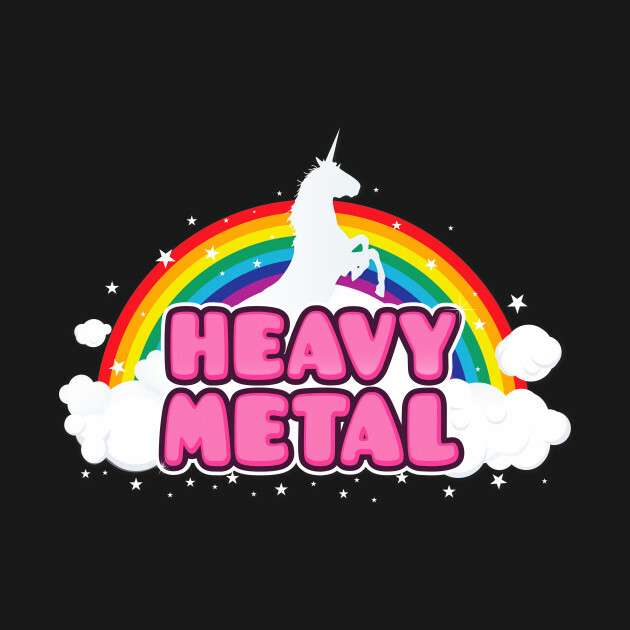 One of the only traditional heavy metal (or whatever) bands that I like.